With a dedication to product quality and excellent customer service, Brother International Corporation, the US subsidiary of Japan-based Brother Industries Ltd., is committed to an At Your Side philosophy with its customers, business partners and colleagues. 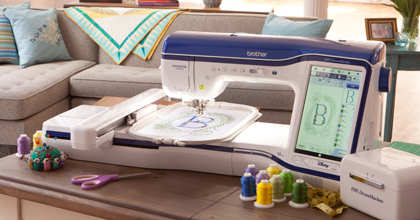 The globally-recognized Brother product line includes an award-winning range of sewing, embroidery and quilting machines as well as CHA Award-winning ScanNCut, industrial and home sewing equipment, and remains number ONE in machine support in the United States. For 2015, PC Magazine has named Brother the winner its Readers' Choice Award. This is the seventh year in a row Brother has won Readers’ Choice honors, and the third straight year for the Business Choice Award. 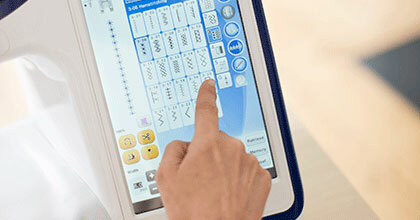 Whether you are a skilled sewist or an enthusiastic beginner, Janome's complete line of smart, accessible machines can deliver the precise, professional and beautiful results you expect. Janome is a category leader in innovation and our machines are recognized throughout the industry for their ease-of-use and unsurpassed stitch quality.